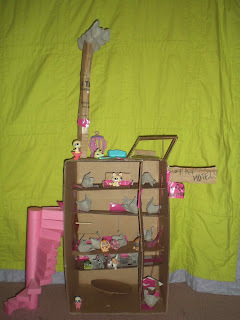 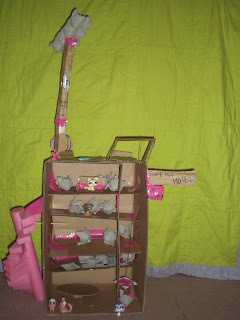 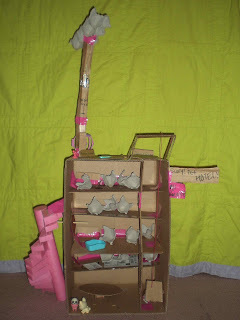 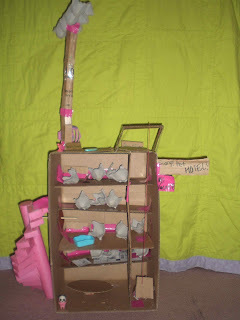 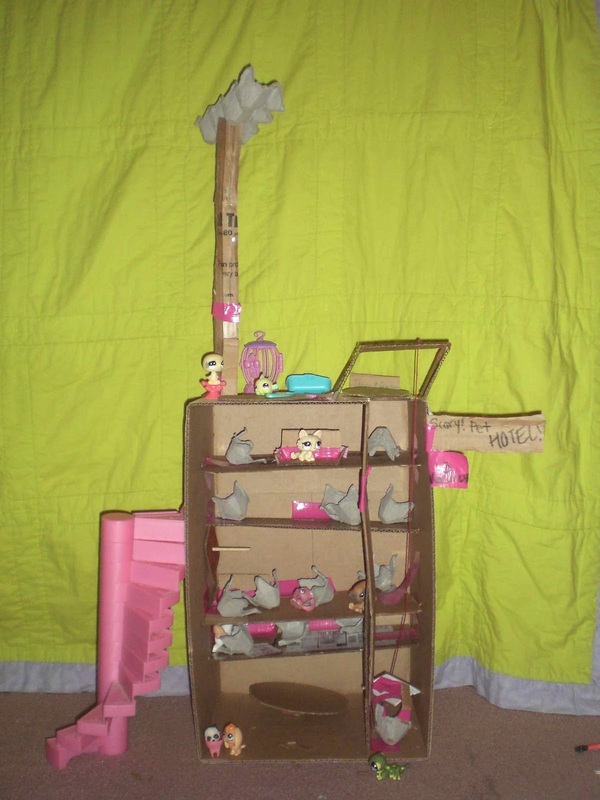 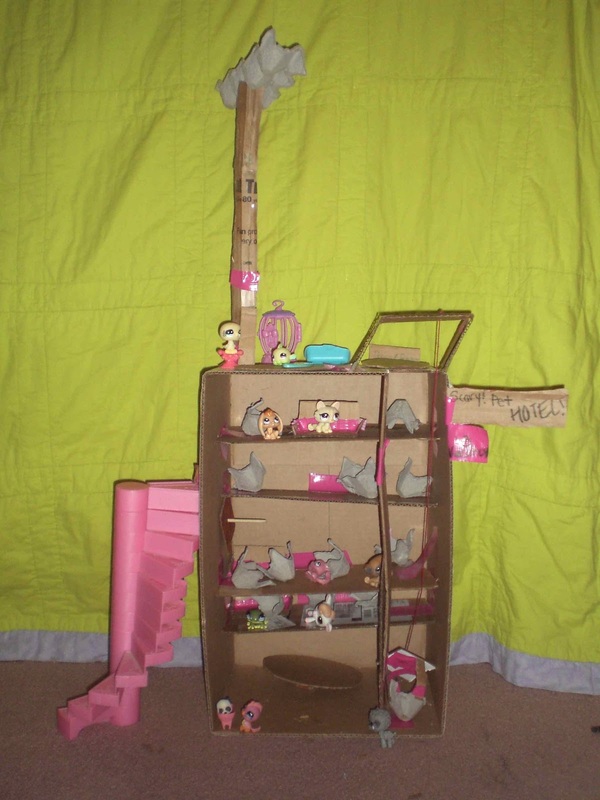 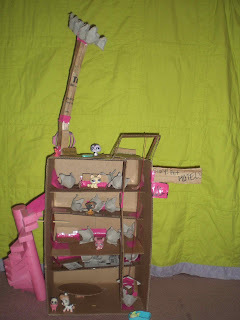 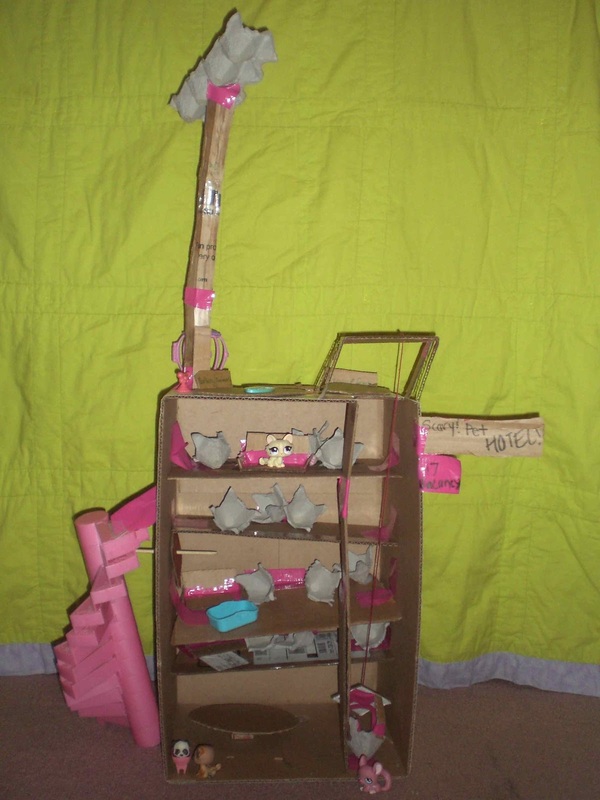 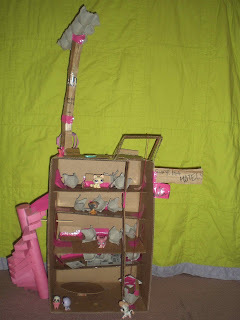 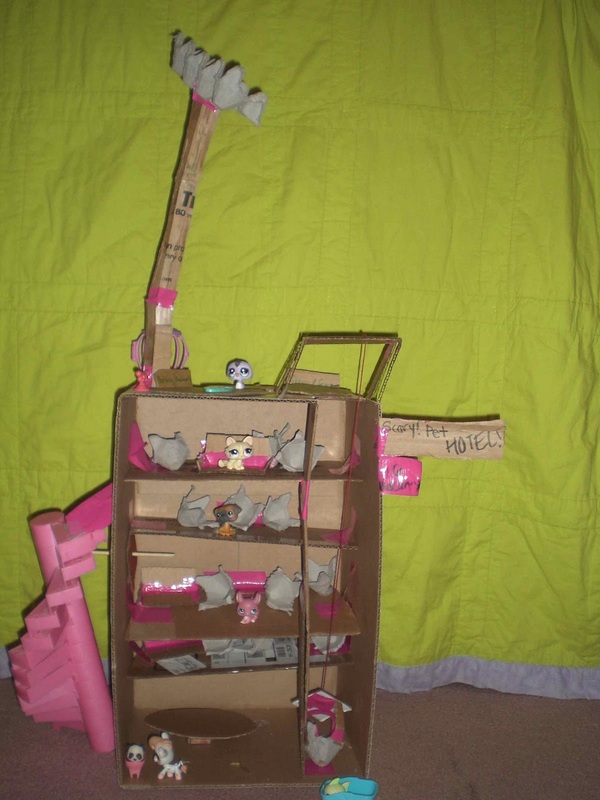 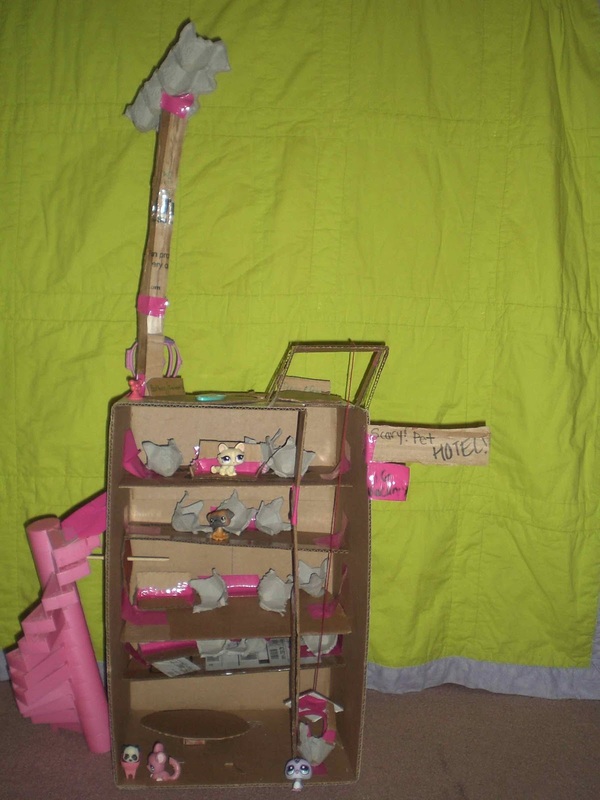 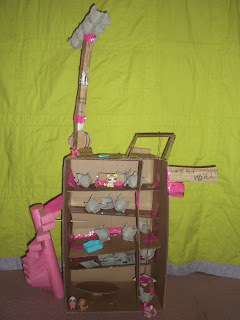 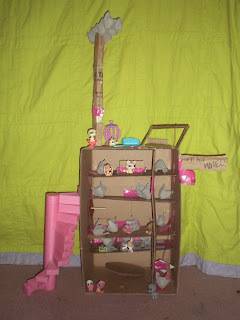 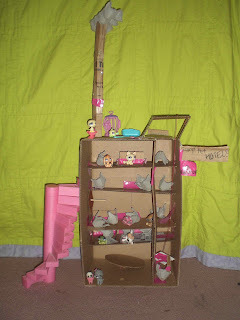 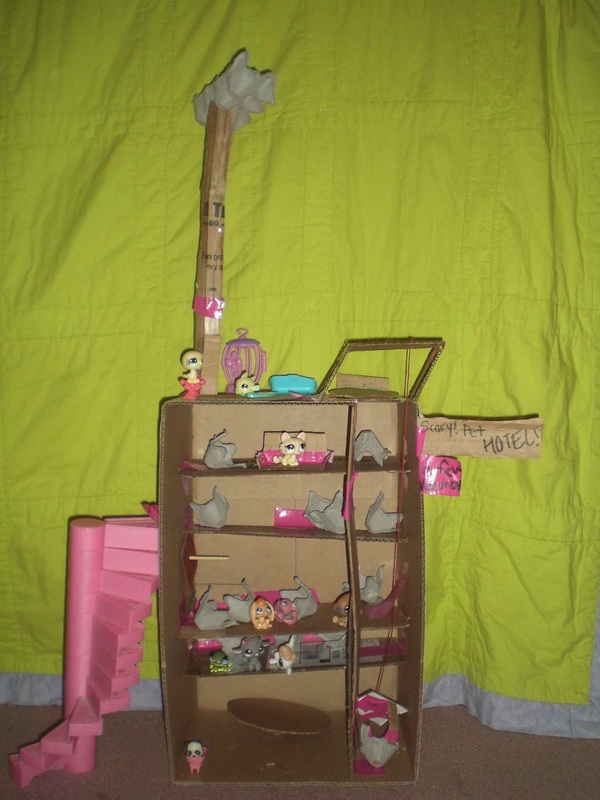 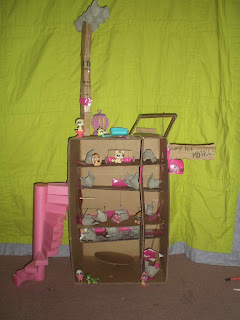 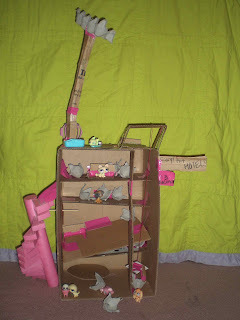 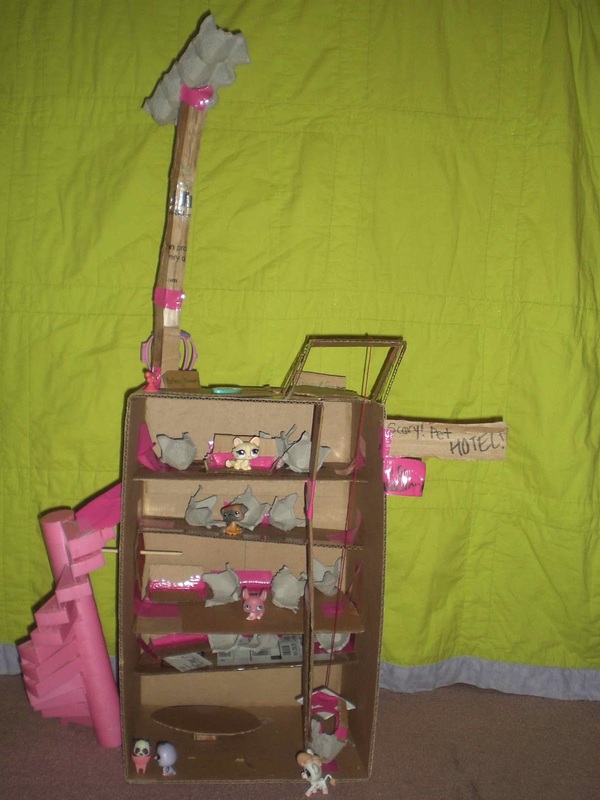 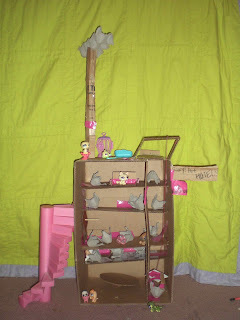 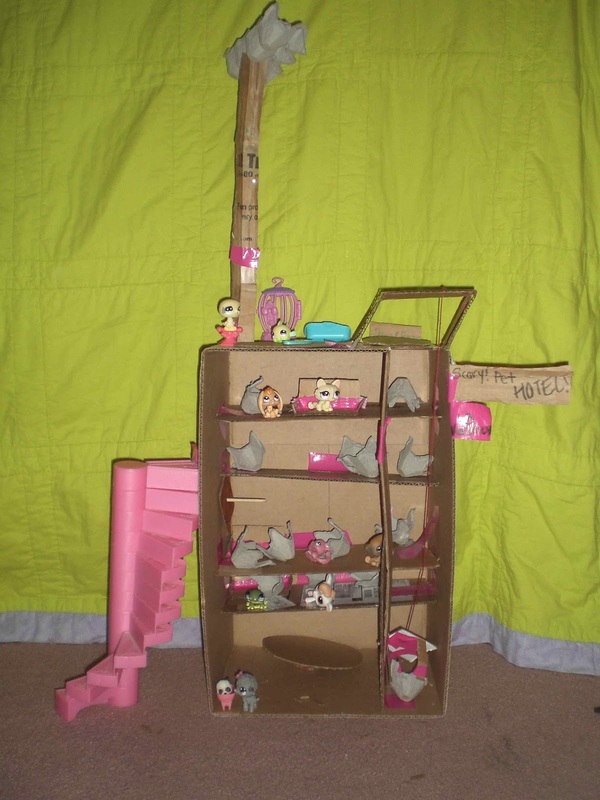 On Thursday, the girls were trying to play littlest pet shops, but they had nothing to make the pet shops do, so they made a hotel out of cardboard they found in our recycling bin, and took pictures of the pets doing things. The manager (panda) waits alone. 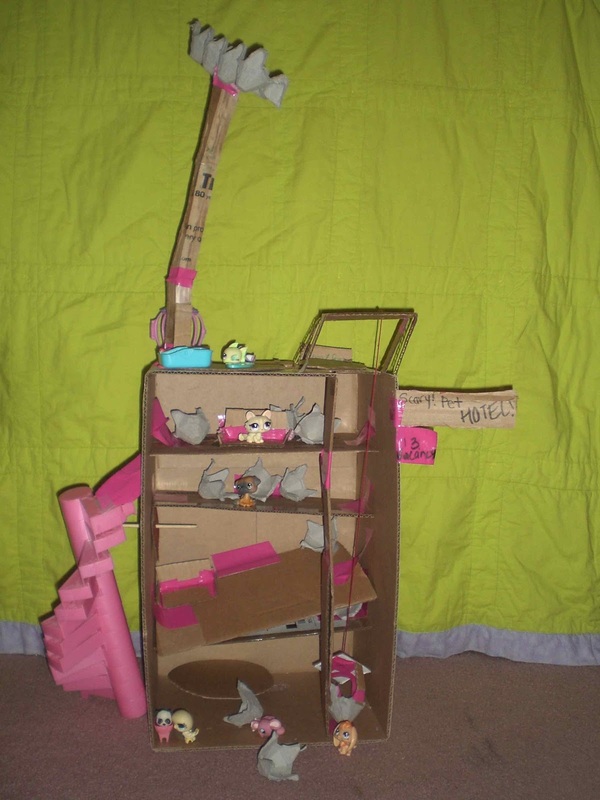 His first visitor of the day is a cat. 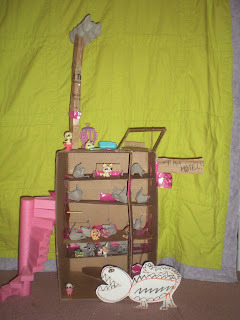 followed by a pink chinchilla. 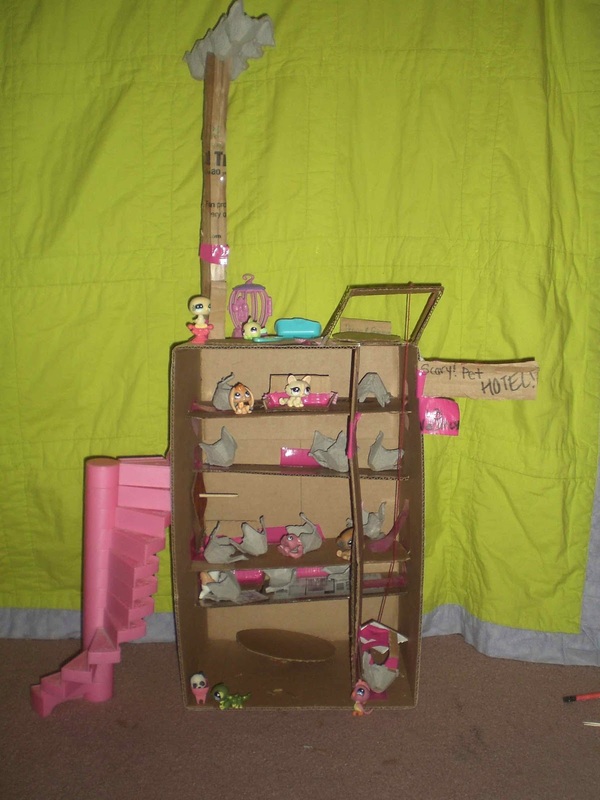 and a yellow bird are all visitors of the Scary pet hotel. 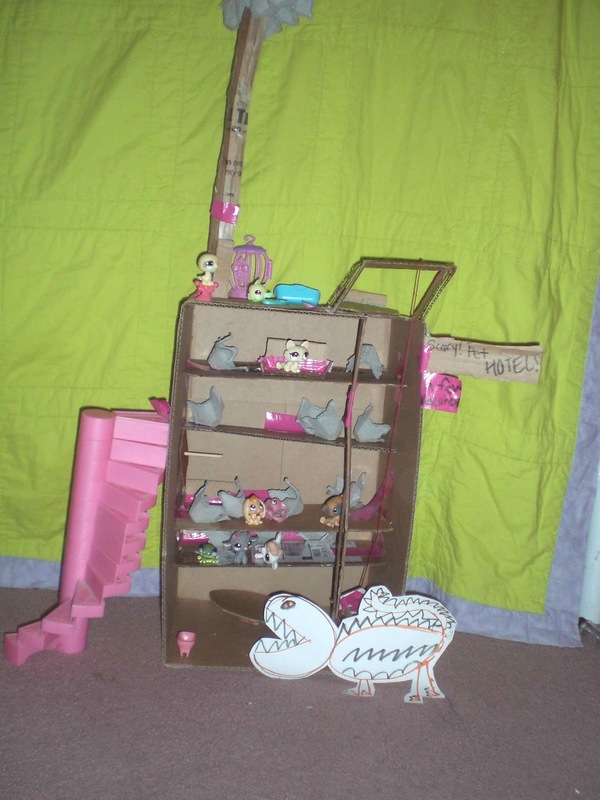 a tall gray sheep, all follow. 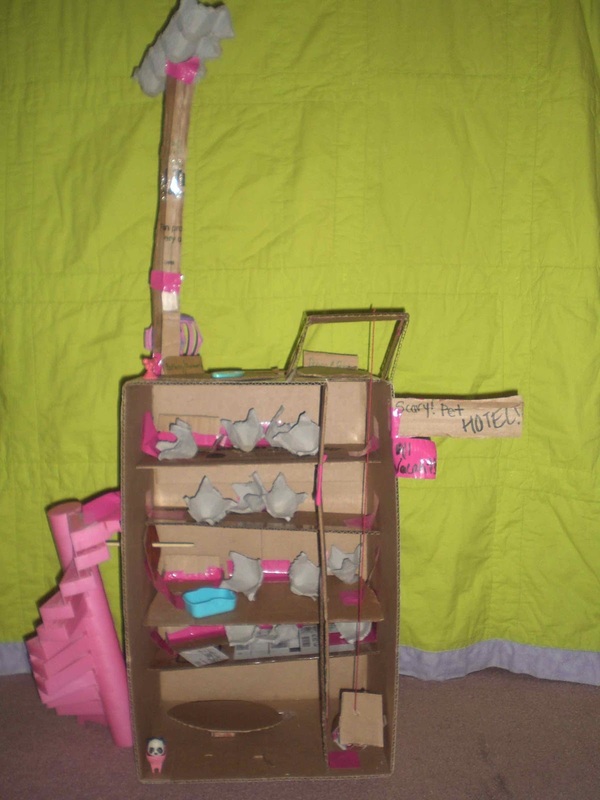 Then the manager waits alone. 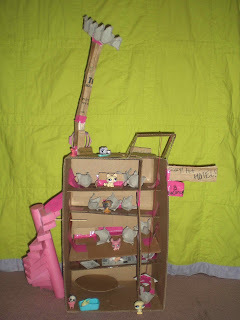 Buts he's not alone for long! 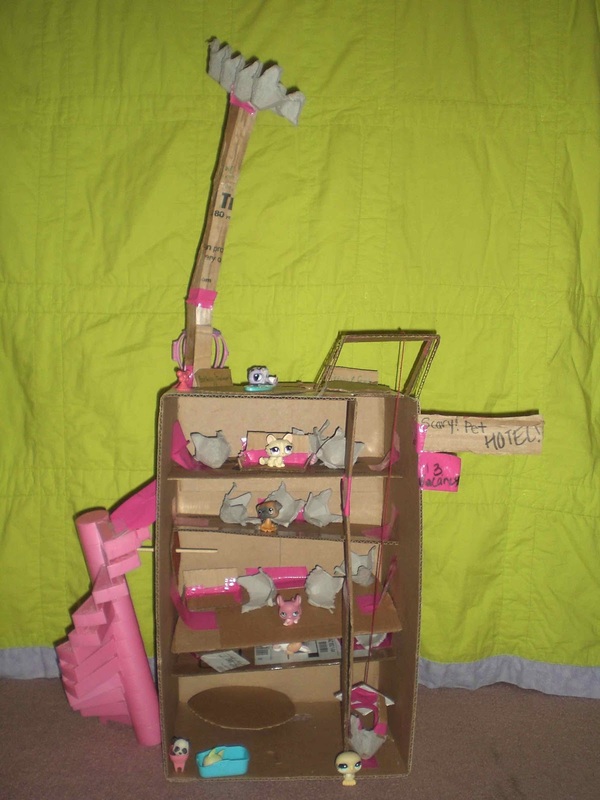 A large visitor then appears. 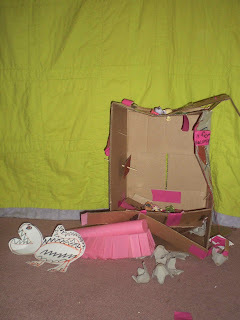 And you can see what the monster did to that!